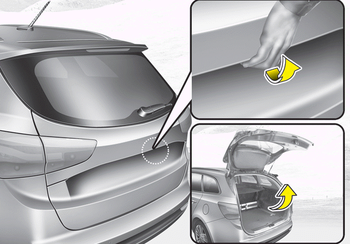 Only the tailgate is unlocked if the tailgate unlock button on the transmitter or smart key is pressed for approximately 1 second or the tailgate handle switch is pressed with the smart key in your possession. 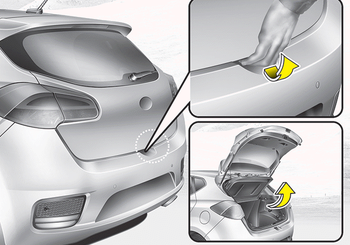 If unlocked, the tailgate can be opened by pressing the handle and pulling it up. Make certain that you close the tailgate before driving your vehicle. Possible damage may occur to the tailgate lift cylinders and attaching hardware if the tailgate is not closed prior to driving.